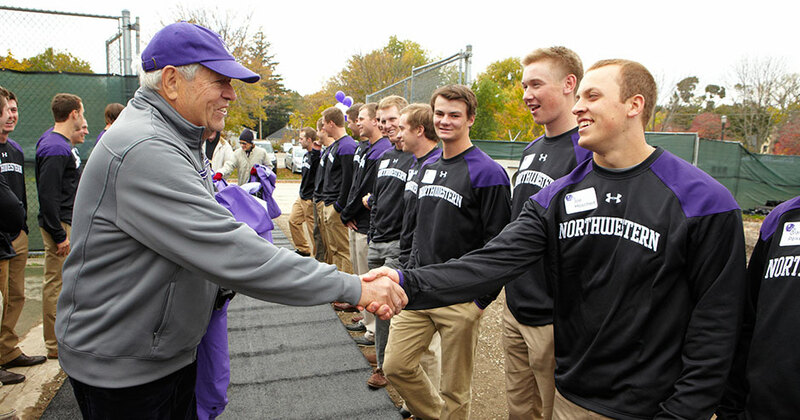 EVANSTON, Ill. -- Friends of the Northwestern baseball program gathered at Rocky Miller Park on Saturday, October 18 for groundbreaking ceremony that celebrated the improvements that are currently being made to the home of the Wildcats. Guests enjoyed refreshments on the construction site before listening to a notable lineup of speakers. 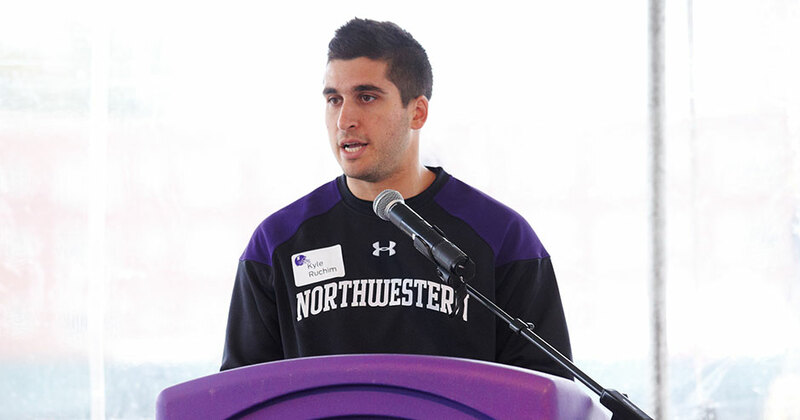 Redshirt senior Kyle Ruchim represented his teammates on the dais Saturday. The Buffalo Grove, Ill., native thanked those in attendance for their support and spoke about the excitement surrounding the project. 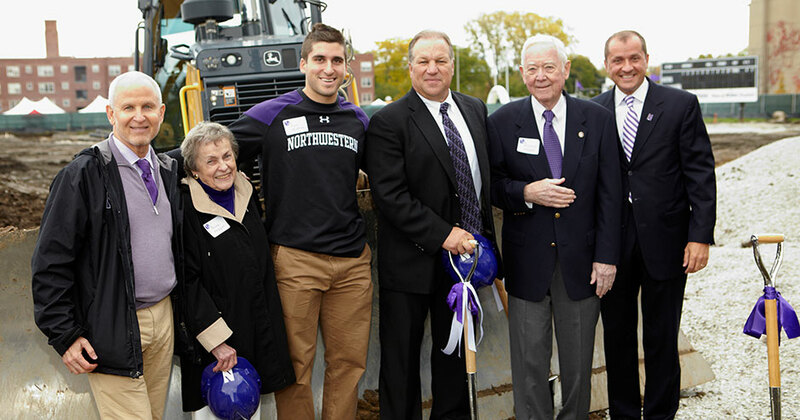 Ruchim also noted that the new Rocky Miller Park will provide Northwestern's student-athletes with an academic and athletic experience that is second to none. At the conclusion of his remarks, Ruchim held the pleasure of introducing Mr. Richard Pepper as the next speaker. In June 2013 Richard and Roxy Pepper announced their pledge of $5 million toward the renovations to Rocky Miller Park. Built in 1943, the facility is named after Roxy's late father, J. Roscoe Miller, president of Northwestern University from 1949 until 1970.
Pepper spoke about many things including when he and Roxy first met as Northwestern students, his father-in-law's vision to expand the university's physical footprint and the experience of throwing out a ceremonial first pitch at Wrigley Field prior to the Wildcats game against Michigan in April 2013. 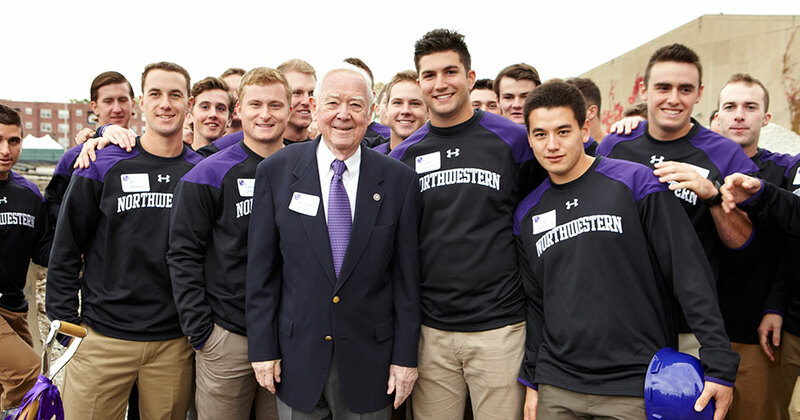 Current Northwestern University president Morton Schapiro spoke of his own baseball career, his admiration for one of his predecessors, Rocky Miller, and the joy of watching the team play in a state of the art facility. 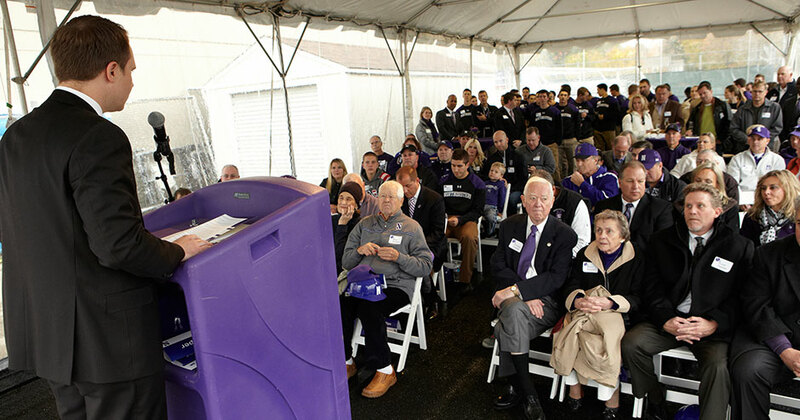 NU Vice President for Athletics and Recreation Dr. Jim Phillips concluded the program with his own thoughts about the bright future of Northwestern Baseball thanks, in part, to the renovations to Rocky Miller Park. 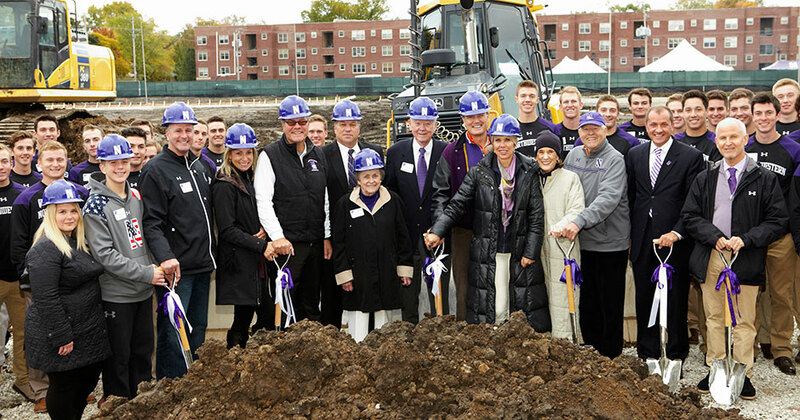 Once the remarks concluded leadership donors including Richard and Roxy Pepper, Mike, Pat, Laird and Deirdre Koldyke, Eric and Cindy Mogentale and Don and Melissa Brotz gathered with Phillips, Schapiro, Ruchim and Northwestern head coach Paul Stevens for photos on the construction site. For more information about the Rocky Miller Park project, please CLICK HERE.